Ailing Goa Chief Minister Manohar Parrikar is suffering from an advanced-stage cancer, senior state cabinet minister Vijai Sardesai said here Sunday. Sardesai, who heads BJP ally Goa Forward Party, is the second member of the cabinet after health minister Vishwajit Rane to talk about the exact nature of Parrikar's illness. While it is known that the chief minister, who has been in and out of hospitals since February 2018, is suffering from a pancreatic ailment, his office has not provided any specific information about the illness so far. Speaking to reporters, Sardesai, the town planning minister, said he will meet Parrikar on Monday to thank him for releasing funds for a cemetery and for getting another work sanctioned. "I am going, and get work sanctioned. Once again it is going to show that in spite of suffering from cancer, which is advanced stage of cancer, the CM is working for people," he said. Rane had said Parrikar was suffering from cancer, but it was not confirmed by the CMO. Parrikar, 63, underwent check-up at the state-run Goa Medical College and Hospital (GMCH) Sunday morning. "He was taken to GMCH for a regular check-up and later allowed to go home. His health condition is stable," a CMO official said. He was last admitted to GMCH on February 23 and treated by doctors from All India Institute of Medical Sciences, Delhi, where he had undergone treatment earlier. He had also undergone treatment in the United States and at a Mumbai hospital after taking severely ill in February 2018. 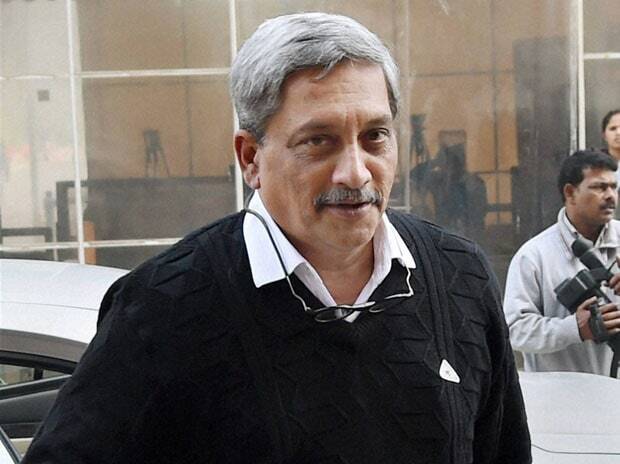 Since returning from AIIMS, Delhi, in October, Parrikar is mostly confined to his private residence at Dona Paula here where he has held cabinet meetings.